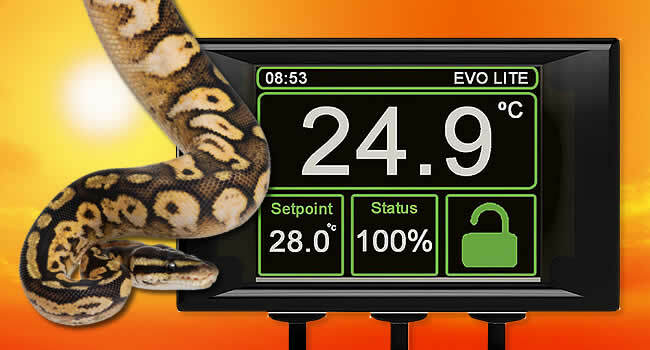 Thermostats are the heart of most reptile setups and enclosures. Although it is possible to set up without one, most enclosures are better and safer if they incorporate a thermostat. With the only downside being the initial cost it is difficult to see why anyone would do without one. 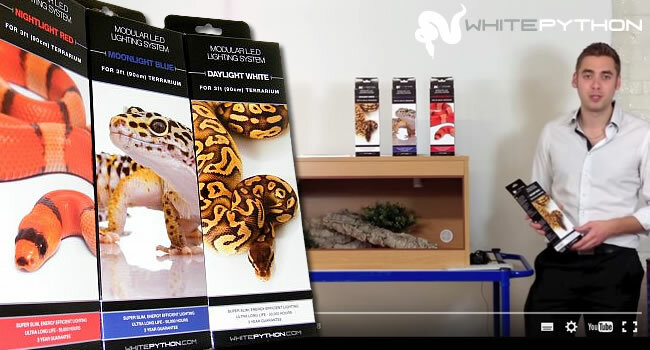 Not only do thermostats automatically monitor and regulate temperatures (arguably the most important aspect of reptile husbandry) they help protect against one of the most common causes of reptile fatality – overheating. 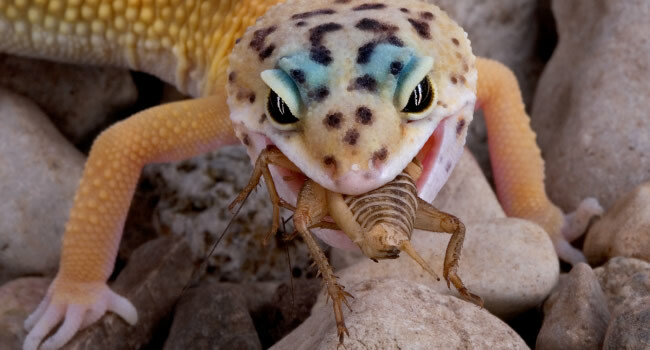 Whilst reptiles can tolerate cool temperatures for surprisingly long periods, overheating can cause death in just a few minutes. 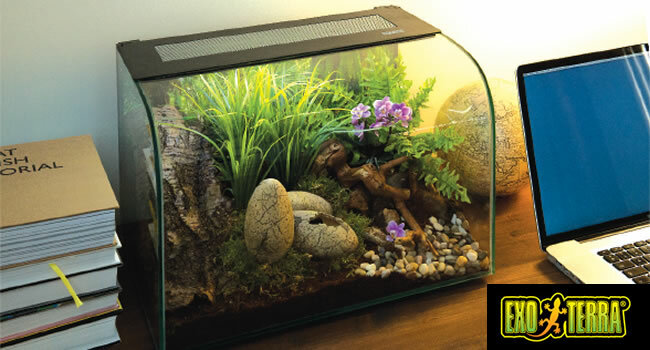 Springtime can often catch people unawares as the warmer weather causes vivarium temperatures to rise. Enclosures with thermostatically controlled heaters have little to worry about, but without a one, the results can be fatal. There are several different varieties of thermostat, each designed to do a slightly different job. There are a handful of factors to consider when deciding which thermostat will suit your customer’s needs best. Although I am not a great fan of on/off stats, it is still important to have these in stock. On/off stats are the least expensive and the most basic thermostat on the market and so they are an important fallback option for customers unwilling to spend more. No prizes for guessing how these stats work – they regulate the temperature by switching the heater on and off. The thermostat is set at a specific temperature and tries to maintain this between a high and low tolerance level. If the sensor inside the tank reads a temperature hotter than the high tolerance then it switches the heater off. If it senses colder than the low tolerance then it switches the heater on. Whilst this process does regulate the vivarium temperature, it does so quite crudely in my view as there can be quite a difference between the on phase and the off phase temperatures. If you also consider that most starter vivariums are heated using a spotlight bulb, the constant flashing on and off can be stressful for both the keeper and the kept. And if that is not enough to convince your customer to upgrade to a better stat, then the fact that this type of stat causes heater bulbs to blow more frequently should convince them that a dimmer stat is worth the slightly higher cost. With all that said, it is important to remember that an on/off thermostat is better than no stat at all and that many of the most common pet reptile species are hardy and fare seemingly well with this type of stat. A range of on/off stats for use with heat mats is also available. These work in exactly the same way as conventional on/off stats but have a lower maximum power output. Dimmer stats are the most versatile and effective stat available and they are suitable for all applications. Although they are slightly more expensive, they have none of the negative side effects of the on/off stat. Dimmers regulate the temperature by constantly regulating the power it sends to the heater. It is the easiest way to explain how they work is to use a spotlight heater bulb as an example. The sensor on the stat tests the temperature inside the enclosure constantly. If the temperature is too cool it will brighten the bulb very slightly, with much the same effect as a household dimmer switch in your lounge. If the temperature is too warm it will dim the bulb accordingly. This constant sensing and adjusting creates only a slight dimming and brightening that is almost imperceptible and produces much more consistent temperature control. Compare this constant adjustment with the intermittent flashing caused by the on/ off stat and you can see why dimmers are more effective and less annoying. In addition to their efficiency and accuracy, dimmer stats can also be used with any type of heat source making them extremely versatile. If you only stock one type of reptile thermostat, it needs to be a dimmer. Where dimmer stats are very versatile, a pulse stats does only one job, but they do that job exceptionally well. Pulse stats are an excellent way to control heat sources that do not emit light, so they are not a good choice for use with spotlight bulbs. Pulse stats are most commonly used with ceramic heaters and are the favoured in more advanced or breeding setups. As ceramic heaters do not emit light the keeper can easily control the day/night photoperiod separately. This is a significant benefit in the advanced husbandry and breeding of many species. Pulse stats work by sending regular quick pulses of energy to the heater unit, and pulsing either harder and faster, or softer and slower depending on the temperature the thermostat is sensing. The constant pulse-pulse-pulse would obviously not suit keepers using spotlight heaters, but the regular sensing and temperature adjustments are accurate and invisible when using ceramics. Although a dimmer stat would do an equally effective job, the pulse stat is slightly cheaper and so favoured by those keepers who know how they work and what they cost. Some manufacturers offer highly advanced thermostatic control units which can be pre-programmed and manage several enclosures from the same unit. This end of the market is constantly evolving and very specialist, although younger customers appear to be adopting the technology quicker than us old timers. Microclimate’s microprocessor technology also means their dimmer thermostat will work perfectly with low wattage heaters such as heat mats, which again, is not a feature you’ll find on other brands of dimmer stat. This means you can use Microclimate’s versatile and effective dimmer stats in any application. 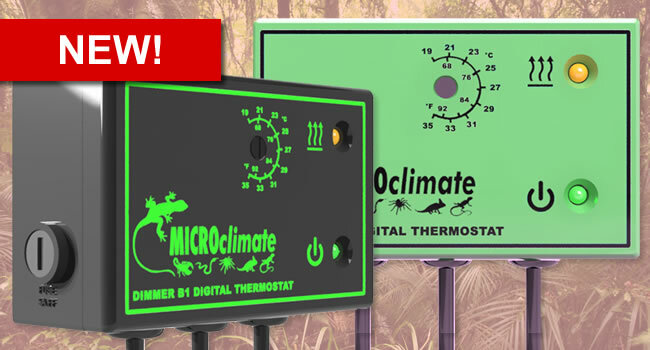 That’s why Microclimate dimmer stats are the best selling and most popular reptile thermostat on the market. Source: Peregrine Livefoods trade newsletter. 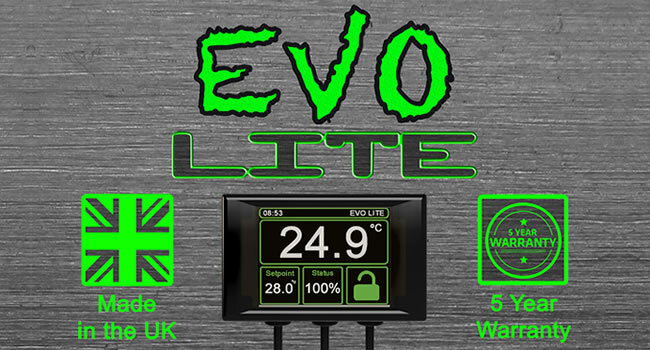 New Microclimate Evo Lite Thermostats in 6 Colours!